What are your business’ long term plans for international growth? If you’re thinking of expanding into a number of different markets in the future it makes sense to centralise translation requirements today. We recently took on a global company’s translation projects that had become very fragmented and inconsistent. The company had been steadily growing their sales in different regions, each time outsourcing their translations to local agencies and freelancers. This approach worked well as they entered the first couple of new markets, however after expanding into a third country managing their translation projects had become a full-time job in itself. With several independent local translation agencies and freelancers to deal with, the translation of new marketing material, product sheets and additional webpages was taking longer, had become a drain on their marketing team’s time, and they were finding it increasingly difficult to control the brand image across all translated content. Not only were there inconsistencies between content translated for different territories, there were also differences in pricing, quality and approaches to translation. The solution was to find a single translation services provider that could handle all their existing requirements, and have the capacity to help them drive their growth in new markets too. Here’s where we came in! Our first step was to provide a single point of contact for the client, a project manager to coordinate all their translations for each market. A team of native speaking translators was also handpicked for each target language, selected for their industry experience as well as their professional language skills. We then reviewed all the company’s translated content, brand guidelines and other assets and agreed translation guidelines for each language and market. A list of terminology was also agreed in each target language to ensure consistency across all content. We then introduced the power of Translation Memory software! This is an important tool for consistency and accuracy across large volumes of content. Essentially it’s a database of all terminology and frequently occurring phrases, which we run the text through to ensure consistency. An added advantage of translation memory software is it reduces the volume of text that needs translating and this in turn reduces costs and saves time. Translation memories are also very useful if different departments within a company handle their own translation projects; provided they all outsource to the same translation agency. With a centralised approach we can make sure that all translated content – whether initiated by Marketing or another team – uses the same agreed terminology consistently across different documents and channels. 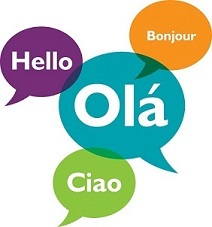 Having partnered with one trusted translation agency instead of several, the company now has access to language experts who can help them reach new customers in over 200 different languages. The process of translating content for new markets is already in place; it’s simply a question of deciding when the time is right. Essentially, it’s so beneficial for companies to centralise translation work from the start and avoid consistency problems brought about my multiple 3rd parties. Partnering with one professional translation services provider can save time and money in the long term. For more information about Comtec and our approach to multilingual translations, download our brochure here.